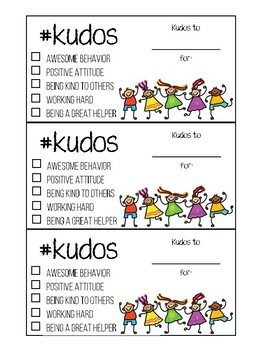 Celebrate student success with these #kudos cards! Students will love receiving these cards! You can have the students earn #kudos in class for your choice of awards or have them go home to parents and let them celebrate their child's success!